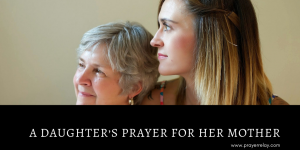 What drives a daughter’s prayer for her mother? You will always hear it thrown around that, women are emotional beings. For the most part, this is a characteristic that is often viewed as a weakness. I was not always at odds with my mother. Neither did I view her as an ally. This is obviously a ridiculous position to take, seeing as she was the one person I knew I could turn to. Whenever I have been faced by a situation which is beyond me, one word has been the answer “mum”. Youth carries with the naivety and lack of appreciation for what we have. As I have grown older, I have become more conscious of the fact that not everyone has what I have. This is not just specific to my mother. Most of the world lives on under $1/year. They struggle to put a meal on the table daily. Those among us who get to choose what table to eat from and what we place on that table ought to be grateful. Now back to my mother. As I have grown older, I have begun to appreciate all that she has done and continues to do. Although I am now independent, she still carries me in prayer and in thought. Things that we don’t even concern ourselves with, and issues that our mothers will often grapple with. They want the very best for us. I know that their methods may not be perfect, but their hearts are always in the right place. 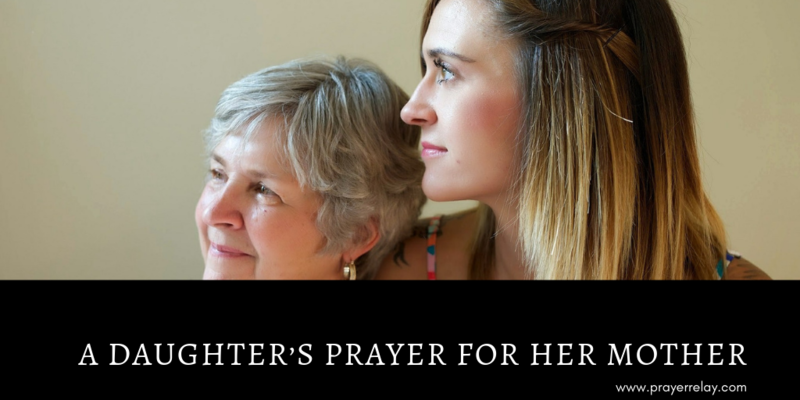 As sons and daughter, it is our duty to keep our mothers uplifted in prayer. There are few ways that show greater love than prayer. When you pray for someone, for the most part they won’t know that you are doing this. It is a selfless act that doesn’t seek human reward. Before you start praying for your mother, consider the things that you would like to see God for her. Also consider what your mother’s heart desires the most. Finally think about what could be better in her. There are flaws that you may see. Instead of criticism, intercede. God is faithful to change the heart of mankind. Thank you for taking time to pray for your mother. If you would like our team to partner you in prayer for you mother, please do not hesitate to get in touch. Lord, I thank you for my mother. I pray that you would give her good health. We speak against any illness or diseases in Jesus’ name. What has already been diagnosed and what has yet to manifest, let it all be healed in Jesus’ name. Good health will be my mother’s portion. She will live long, and declare your goodness in the land of the living. In the mighty name of Jesus. Give her more and more divine wisdom as she ages. May that wisdom be poured out on us and on our children. Father, let the pits that she has fallen in not be the same pits that her children will fall in. Whatever has caused her to stumble, by her wisdom, generations will evade. Troubles that she has seen will no longer be seen by those after her. Raise her to be a mighty woman of prayer. For her own sake, and for that of generations to come after her. Build around her, a community of like minded people to raise and push one another forward. Stagnancy will not be her portion. She will keep growing and thriving as she does. Father God, I pray for my mother. Lord, keep her in perfect peace. Grant her peace that surpasses all understanding. Whatever arrows of the enemy are fired to steal her peace will not touch her. May her mind be steadfast on you. Lord, I pray for my mother. Father give her the grace to delight in you. May her delight be found in and through you. As she delights in you, Lord, give her the desires of her heart. I pray for those desires that she is starting to lose faith in. Those desires that she is starting to view as impossible. Lord, those desires that she no longer dares to chase. Raise a testimony through this oh God. I pray that her hope would never be failed in you. Give her the wisdom and strength to wait for you faithfully. Lord, I pray that while others would trust in all sorts of things, she will trust only in you. Let no blessing come from anywhere else to her but from you. May your hand be seen in everything that sets out to do. Bless the works of her hands, oh God. Whatever she touches will see completion. Whatever she starts will be a success. Lord may this be a heritage that is passed down from her to generation after generation. May the God of my mother be passed on to her children and grandchildren. Every testimony she will see will be a beacon of hope for generations to come. In the mighty name of Jesus. God bless you! The Lord is faithful. For sending a prayer request, and to support our work, head over to our PATREON PAGE.